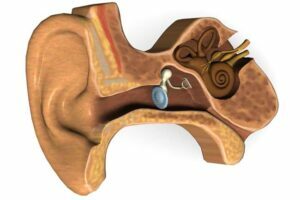 The vestibular system is made up by parts of the inner ear and brain, which are responsible for controlling eye movement and balance. Patients with vestibular disorders may experience vertigo, dizziness, nausea, imbalance, and visual disturbance. People with vestibular problems may also find it hard to focus or concentrate. If you think you have these symptoms, talk to our friendly physiotherapists to assess your situation. Vestibular Rehabilitation is recommended for many people with these challenges. First, some tests may be required and your therapist will document any symptoms and their effect on your well-being. Medical history, medications you take, and daily activities are also discussed. Based on a cohesive review of your current health, a customized treatment plan is created. In general cases, vestibular rehabilitation is done in a clinic environment. Most of the time, patients are taught various exercises that can be performed regularly at home. Our friendly and helpful therapists will take time to understand your case and explain the importance of vestibular rehabilitation in achieving wellness. We will help through your entire therapy to improve your overall well-being and general health. You can also schedule a single appointment, without committing to an entire treatment plan. Call us today at (416) 221-0772 to schedule an appointment.